The First Day Festival is committed to reducing waste and going green in order to make this event as waste-free and environmentally friendly as possible! In order to reduce paper, curb plastic, and cardboard waste, exhibitors and volunteers are given a set of guidelines. 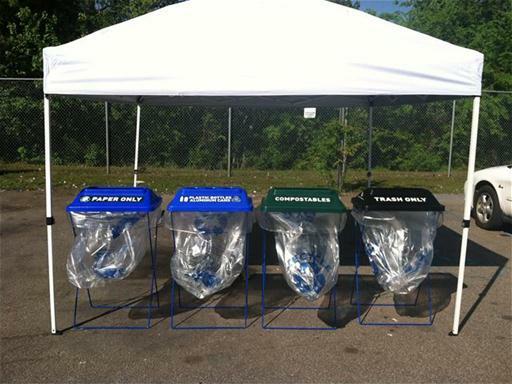 Each year we ensure that multiple recycling and waste stations are set up on-site the day of the Festival. Volunteers help educate exhibitors and attendees about what items can be recycled or composted in addition to picking up litter around Liberty Square and the Maritime Center. Additionally, exhibitors are encouraged to limit their use of paper by utilizing sign-up sheets. This way, attendees are able to obtain information through email rather than with paper handouts. Through generous donations, the First Day Festival is also able to provide water stations to help reduce the amount of plastic bottle waste. The First Day Festival is a time of celebration and we are proud to promote education in a environmentally friendly manner. This year 10,000 attendees were able to take part in the First Day Festival while also going green. We plan on continuing this effort for the 13th Annual First Day Festival by providing water, compost bins, recycling bins, and guidelines to keep Charleston beautiful on this exciting day!